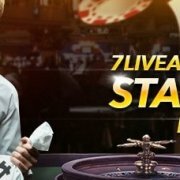 您现在的位置： 主页 / 7Liveasia / 7liveasia Christmas Live Casino Tournament! 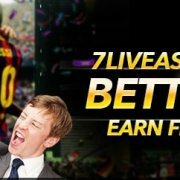 7liveasia Christmas Live Casino Tournament! 7liveasia Casino Malaysia promotion is open for all 7liveasia active members from the following country.Win Yourself An Island Getaway This Festive Season! 7liveasia Casino Malaysia Promotion will starts from 17th December 2016 12:00:01 (GMT+8) to 26rd December 2016 12:00:00 (GMT+8). Member will receive daily update on their ranking via SMS/ 7liveasia “Inbox”, announcement via 7liveasia Casino Malaysia Official Website, Wechat & Facebook. Travel tickets are not convertible to Cash and cannot be transfer to another player. Travel period will be chosen by 1st, 2nd & 3rd prize winner and pocket money will be credited to member main wallet after confirmation and verification. No rollover needed. Travel period will vary depending on visa applications (if any), and will be taken care of by our travel agents upon confirmation of winners. Free bet will be credited automatically into member main wallet on 12:00PM onwards on date 27th December 2016. 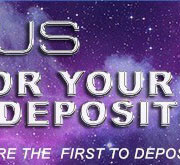 Free bet has to be rolled 1 time prior to withdrawal. Winner will received phone call for Confirmation & Verification from 7liveasia Casino Malaysia after 26th December 2016. Winner that did not respond after receiving calls; prize will be forfeited automatically after 3 days. 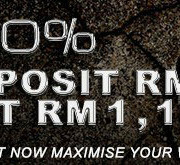 https://casino-malaysia.com/wp-content/uploads/2016/12/2016-12-09_20h38_45.jpg 232 937 casino-malaysia.com https://casino-malaysia.com/wp-content/uploads/2016/03/Casino-Malaysia_Logo1.png casino-malaysia.com2016-12-09 20:43:392016-12-09 20:43:397liveasia Christmas Live Casino Tournament!